After writing about my top picks for cheap road bikes under $1000, I have gotten emails from some readers who are interested in even cheaper options. For the most part, I don’t really think that you should set out looking for the absolute cheapest bicycle that you can find because you normally won’t get the best components and such. Of course, I certainly understand that some people are just on a budget and cannot spend more that. 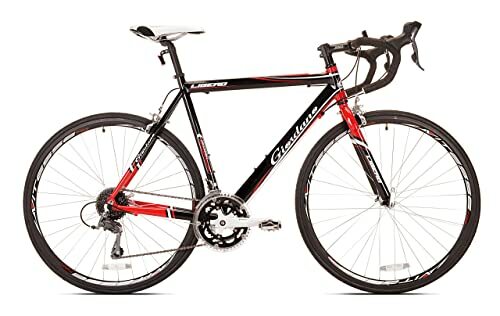 So, if you need an affordable road bike under 500 – 600 dollars, then I have selected what I believe are the top models currently on the market that come in with a manufacturers cost under 700 dollars. It should come as no surprise that I’ve chosen this bike. In fact, I’ve already reviewed the 14-speed model here. What the difference between the two? Not much, really. You have the obvious 21-speed versus 14-speed difference, but other than that is it pretty much the same. The only other noticeable difference is that you can order this one in your preferred frame color choice of black, white or grey. Who is this bike good for? 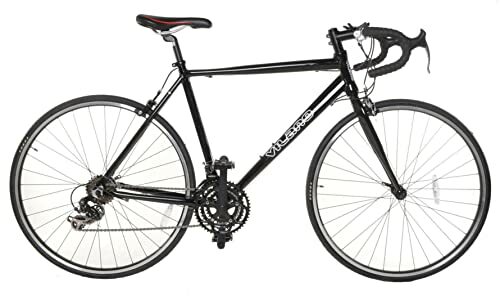 Adults and teens who need a solid commuter bike or road bike with quality components. You get a nice, lightweight aluminum frame that will serve you better than some of the steel-frame models available in this price range. 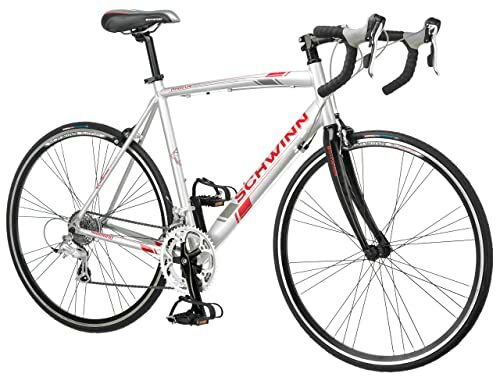 Overall, this one is a great road bike for beginners and definitely budget friendly..
Y’know, Schwinn bikes certainly are not what they used to be back when I was growing up, but this model is a decent choice for the budget biker. This one has a higher price than the Vilano Shadow listed above, and honestly, I’d choose the Vilano over this one. That being said, if you really want a Schwinn or something that you find in the local big box store, then here it is. Now, I’m not trying to hate on Schwinn as there are some decent components on this bike. The frame is just slightly heavier than the Vilano Shadow’s frame. Shifting is pretty smooth, and the brakes seem responsive. Overall, not a terrible choice, but I believe you could spend less by purchasing one of the other models listed here. I’ve written about this model in the past because I think that it is a great looking bicycle with some good quality components – mostly. The brakes on the model could be of a higher quality. Especially when you compare them to the other components, then you’ll notice just how poor they are. Don’t get me wrong, they work but they’re just not as good as they should be. 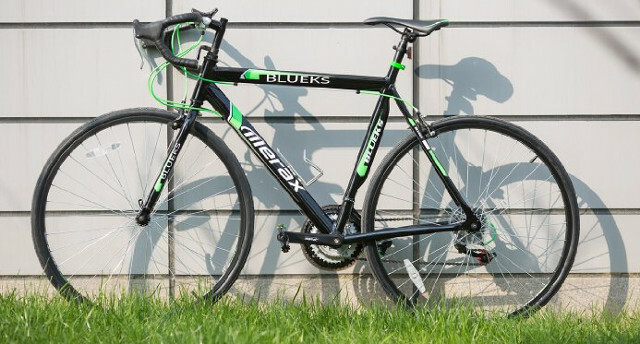 Of course, this bike has an affordable price in the sub-$500 – $600 range, so when you consider that it is a pretty decent value for the money. Though I’d probably still spring for the Vilano model mentioned above. Keep in mind that if you can afford to spend a little more, then in my opinion you will get a better quality bike. But if not, stick with one of these models, or a model rated highly by other bike riders, and you will ensure that you’re getting a lot of value for the money you spend on the new bicycle.